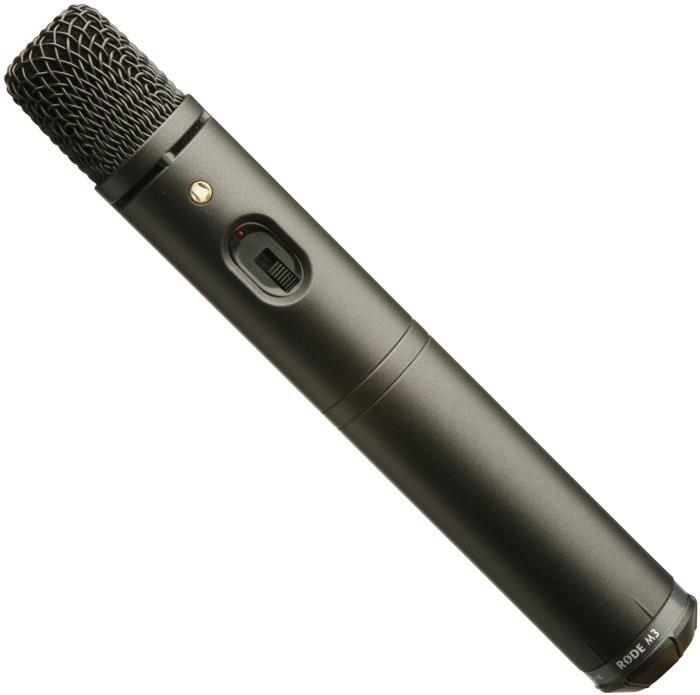 Although we usually advise against on/off switches on handheld mics, the Rode M3 does have an off switch, the same switch can also be used to engage a high-pass filter kicking in at 80Hz to reduce the proximity effect if you like to sing with your lips on the mic - and the switch takes effort to move so you shouldn't have to worry about accidentally turning it off. Rode initially designed the M3 to be an instrument mic, but it has also found wide use as a vocal mic and that's one of the applications that Rode list on their website for it. It also has the option of being powered by a 9v battery so you don't need to worry about phantom power if you don't have it. The Rode M3 also has a fool proof pad switch on the inside of the mic - it offers a 20 dB cut for using on loud sound sources. Reviewers often talk about how versatile the Rode M3 is - just as at home on the stage or in the recording studio, and can be used on just about any musical instrument. Owners also talk about how rugged and reliable it is. Some reviewers complained that it's heavier than most other live condenser mics, but other than that there were no consistent negatives reported. This is quite a handy versatile microphone, and Rode will also give you an extended 10 year warranty when you register it on their website. Many people also use this a speech recording mic for podcasts and even outside recording. Rode build to a high standard so you should expect years of use in just about any context you'd want to use a mic in.